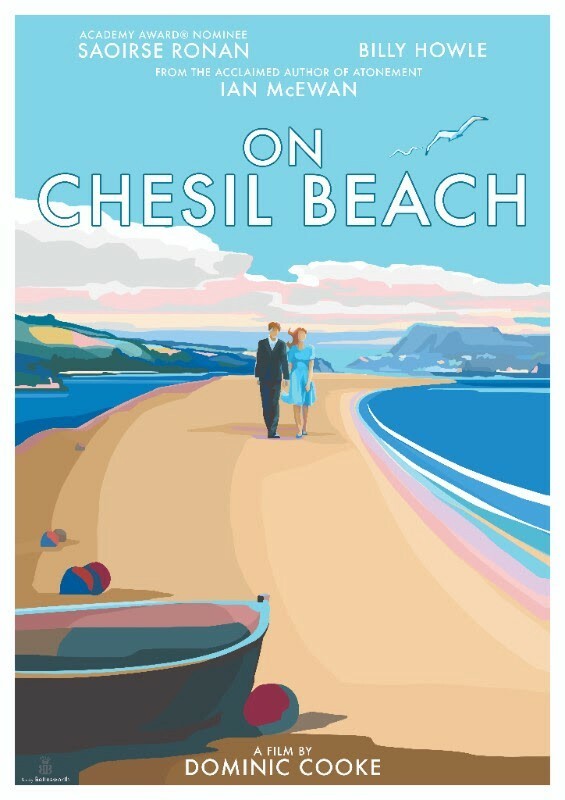 To celebrate the release of On Chesil Beach in UK cinemas on the 18th of May, Lionsgate UK are proud to reveal a bespoke artwork collaboration with iconic Devon artist Becky Bettesworth. 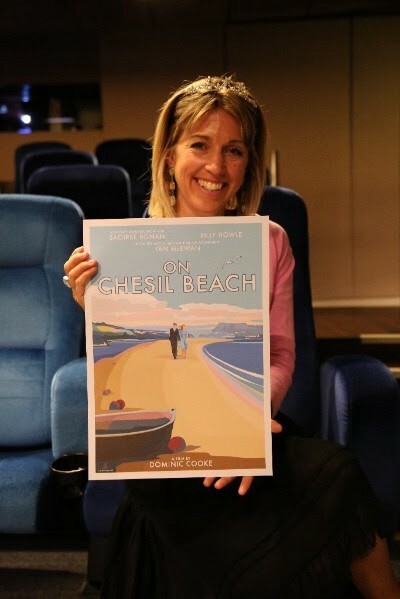 The limited-edition Becky Bettesworth print below will be available as an exclusive gift when tickets are purchased for On Chesil Beach at selected Picturehouse Cinemas from 15th May – 20th May, whilst stocks last. Becky Bettesworth said she was thrilled to be asked by Lionsgate UK to help bring to life this extraordinary novel through her art. "Chesil Beach is such an iconic stretch of the Jurassic Coast and together with my love of producing vintage seaside prints, the commission has truly allowed me to explore my passions on this very exciting project. The book is tinged with such sadness of a love lost but the moment I have captured in the artwork is the one of their love for each other. It has been a pleasure to work on and endorse this British film". "We're very proud of the collaboration with Becky Bettesworth for On Chesil Beach. We were immediately drawn to her beautiful iconic style of seaside art and felt she would perfectly capture the film's bittersweet tone" said Lionsgate UK's Senior Digital Marketing Manager Nicola Piggott. On Chesil Beach, based on the best-selling novel of the same name by Ian McEwan and starring Academy Award® nominee Saoirse Ronan and Billy Howle, follows the story of newlyweds Edward and Florence who spend their honeymoon at a seaside getaway on Chesil Beach in 1962. Underlying tensions between the young couple soon surface and cast unexpected shadows over their long-anticipated wedding night. Catch On Chesil Beach in UK cinemas 18 May.